In Lexington and surrounding communities, antique shopping is an activity that never, so to speak, gets old. In fact, to visit all the antique shops in the area, you&apos;d have to plan to stay a while. There are more than 200 antique shops, ranging from large multi-dealer malls to small specialty stores, ready to tempt you with old Kentucky cabinetry, quilts, imported furniture, Shaker items, Depression glass, collectibles - you name it! There&apos;s enough great antiquing within Lexington itself to keep you busy for days. In addition, virtually every surrounding community includes at least a few antique malls and shops, so it&apos;s easy to combine antique shopping with general sightseeing. As a writer for The New York Times put it, antiquing in the Bluegrass is "a chance to unearth some great buys in American antiques and, in the bargain, enjoy some of the most beautiful rural countryside anywhere." Such a deal! And while all Bluegrass roads eventually lead to an antique shop or two, here are a few suggestions to get you started. Antique shopping is definitely a main attraction in Lexington. In fact, you&apos;ll find some great shops right on Main Street. On the East end, you can stop at Ann Greely Interiors and Antiques (497 East Main Street; 859-367-0200), a yellow mansion full of exquisite furniture, decorative items and paintings. 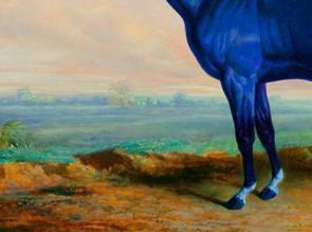 The Thoroughbred Antique Gallery (637 East Main Street; 859-233-9375) brings together outstanding antiques, interiors, garden accessories and fine art. 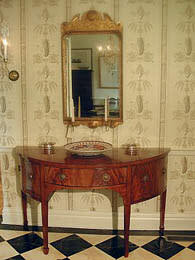 Inventory ranges from period 18th century pieces to mid-century modern. At the opposite end of Main, as you head west the street&apos;s name changes to Leestown Road. About a mile west of Rupp Arena, you&apos;ll find Feather Your Nest Antiques, Collectibles & Accessories, open daily (859-381-1505). A little further down you&apos;ll see the Meadowthorpe Antique Mall (1455 Leestown Road; 859-255-2607), where about 50 dealers offer a little bit of everything. Open daily except Mondays. While downtown, browse through The Ugly Duckling Antiques at 575 East Maryland Avenue (859-219-0332), specializing in vintage and antique furniture and art. Heritage Antiques (154 North Broadway; 859-253-1035) offers 18th, 19th and 20th-century furnishings and accessories. Nearby, you can have luncheon tea or afternoon tea and browse fine period furnishings and object d&apos;art at the Green Tree Tea Room, 521 West Short Street (859-455-9660). Check out the Cow Girl Attic. (1535 Delaware Avenue; 859-225-3876). You&apos;ll find architectural artifacts, furniture, garden relics, iron gates, art, estate items, and more! Close by is another treasure trove. Another option on the east end of town is Beehive Antiques and Fine Consignments. From antique furniture to paintings and accessories, this shop is a mixture of delightful and unusual furniture and art. (712 Henry Clay Boulevard; 859-259-4056). Several area stores are clustered near the intersection of Liberty and Winhester roads. Scout (935 Liberty Road; 859-288-5200) scouts out a mix of eclectic antiques and 20th century modern designs for your browsing, and buying, pleasure. While you are in the area stop in at Stalls Antiques (930 Winchester Road; 859-258-9973) and Room Service (933 Liberty Road; 859-226-0423). If it&apos;s an old Kentucky long rifle you&apos;re shooting for, try Antique and Modern Firearms (2263 Nicholasville Road; 859-276-1419). Glover&apos;s Bookery (862 South Broadway; 859-253-0614) is a house full of old books and prints, including many regional items. At Another Man&apos;s Treasure, they specialize in helping you find something unique. You&apos;ll see a wide variety of new, used, custom and antique furniture (2550 Regency Road; 859-296-5991). In a quaint old church(1850!) on the Fayette/Jessamine county line, you&apos;ll find ClaireBourne Antiques (4648 Nicholasville Road; 859-272-4648). The building houses some fine country pieces, quality furniture, mirrors and decorative items. Bluegrass Note: A large monthly antique show is held in Lexington. Athens Schoolhouse Antiques (859-255-7309) offers an astounding array of antiques and collectibles from hundreds of dealers on selected weekends year round. In a state that&apos;s as antique-laden as Kentucky, it takes a lot of bravado (and old stuff) to call yourself the "antiques capital." Georgetown, 13 miles north of Lexington, backs up its claim with a number of antique malls and shops. One of them, Georgetown Antique Mall (502-863-1891), encompasses two buildings on Main Street and is open seven days a week. Also on Main Street: Heirlooms & Gretchens. You&apos;ll find stained glass, lamps, dollhouse miniatures and small antiques (502-863-2538). Peddler&apos;s Mall is a great source for flea market novelties as well as antiques. (502-868-6888). It&apos;s located at the Outlet Shopping Center east of downtown. Peddlar&apos;s Mall has ten locations around the state. In the Oxford Antiques District, five miles east of Georgetown on US 62 , you&apos;ll find Jarvis Antiques, in the Old Presbyterian Church. Call ahead (502-863-3965). North of Lexington in the quaint town of Paris, go see Loch Lea Antiques at 624 Main St. ( 859-987-7070 ), a favorite of antique lovers for the past 20 years. While you are there, pick up a map that shows about eight other antique shops that make up the Paris Antiques and Gallery District. You may need an entire afternoon! Frankfort is more than just the seat of state government and home to the Kentucky History Center. It is also a haven for antique stores. You&apos;ll find an assortment of shops featuring classic collectibles. Check out Old Capitol Antiques at 231 West Broadway (502-223-3879). In Woodford County, west of Lexington, several shops are found in Midway and Versailles. But what is perhaps the most well-known of all Bluegrass antique shops is found in the tiny community of Nonesuch. The term "shop" hardly describes Irish Acres, 4205 Ford&apos;s Mill Road (859-873-7235). You&apos;ll find everything from affordable whatnots to pricey museum-quality pieces on three floors in this 32,000 square foot former school building. Take the beautiful country drive Wednesdays through Saturdays, April through December. You&apos;d better pack a lunch - or, even better, make reservations to have lunch in the on-site tearoom, The Glitz (859- 873-6956). You have to see it to believe it! Bluegrass Note: Wakefield-Scearce Galleries in Shelbyville, 47 miles west of Lexington via I-64, is a bit of the "British aisles" in the Bluegrass. Established in 1947, the shop specializes in imported English furniture, fine silver, paintings and objects of art. Sterling silver julep cups from Wakefield-Scearce are a popular Kentucky gift. 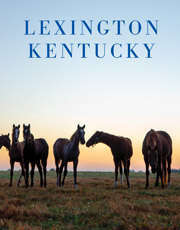 For more information contact VisitLEX, the Lexington Convention and Visitors Bureau, at (800) 845-3959. By Teresa Day, a freelance travel writer based in Lexington, KY.